Eva of the Farm by Dia Calhoun: This book was loaned me by a friend because it is written in verse and I am working on a novel in verse. This is a sweet book about a girl, her family, and their struggling farm, and how poetry enriches their lives. Stealing Fire From the Gods by James Bonnet: This is an interesting book that takes a look at story structure, archetypes, and the heroes journey and proposes a new story model based on some of the great stories of all time. The Second Mrs. Giaconda by E.L. Konisburg: I love Konisburg’s historical novels. (A Proud Taste for Scarlet and Miniver is my all time favorite.) This novel focuses on Leonardo DaVinci’s years in Milan and his relationship with his young apprentice Salai and the Duke of Milan’s externally plain, but internally beautiful young wife. My only complaint about the book is that it ended too abruptly. What books did you or your family enjoy this month? And did you find some delightful locations in which to enjoy them? Please, comment below. I’d love to see your suggestions. June marked the end of the school year and so I had to really push to finish two books I was reading from our school library. The rest of the month’s reading was guided by fascination and fun. The Eternal City by Paula Morris: This book was a great launch into summer. It takes an intriguing look at a high school classics student’s visit to Rome with her class and the strange events that occur starting the day of their very first day in the city. Watch out for the birds! The Freedom Writer’s Diary by The Freedom Writers and Erin Gruwell: This is a fascinating and inspiring story that shows the difference one teacher can make in the lives of her students. The students’ journal entries are eye-opening and heartbreaking for someone who has lived comfortably in the middle class, even if it was often in the low-end of the middle class. However, as a teacher, I also find it alarming. Gruwell pours so much of her life into her students, and while it works for the four years she has them–not, I am certain, without some stress, this cannot be the recipe for an effective teaching career. It simply demands too much of Gruwell’s life. Curtsies & Conspiracies by Gail Carriger: This was another marvelous romp through Carriger’s YA steampunk series. Sophronia and her dirigible finishing school embark on a mysterious trip to London. As in her previous novel, intrigue and adventure ensues. Charlotte and Emily: A Novel of the Brontes by Jude Morgan: A challenging and fascinating look at the lives of the Bronte’s told, primarily, through Charlotte’s eyes. The point of view, while mostly Charlotte’s, but occasionally including that of her siblings and other people closely involved in her life, is such a tightly written first person that it can be confusing at times. However, having the patience to follow rewards you with a highly engrossing read. Even though you most likely already know how this story ends, you can’t help hoping somehow this reading will show you something different. What books have you recently read that you would like to recommend? 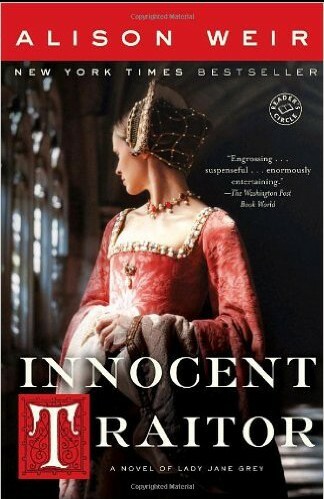 Innocent Traitor by Alison Weir~fascinating historical fiction told from multiple (and I mean multiple) points of view, making the execution as intriguing as the story. 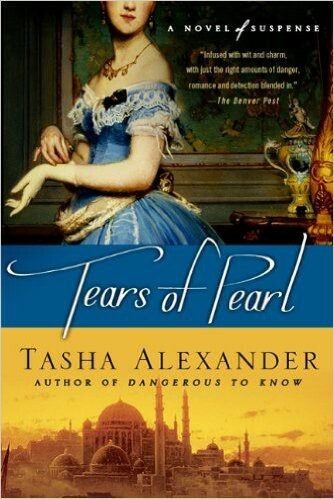 Tears of Pearl by Tasha Alexander~exotic, exciting historical mystery set in Constantinople! Adam of the Road by Elizabeth Janet Gray~gripping, Newbery-winning medieval tale with an endearing young minstrel-protagonist. Read this one with your kids. Lately, I have been trying to include more recent fantasy authors in my reading rotation, (I have so many old favorites that if I am not careful, they sometimes crowd out any opportunities to read someone new.) 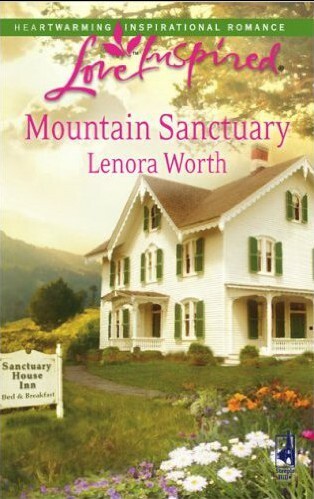 This month that commitment rewarded me with a wonderful read and a new author to love. My best read for September is Juliet Marillier’s Daughter of the Forest. This is a historical fantasy novel I’d recommend for readers college age and upwards. Marillier’s creation of the dark ages’ Irish and Anglo-Saxon worlds was rich and compelling. As a lover of folk and fairy tales, I also appreciated the twist she gave to an old story known to many. 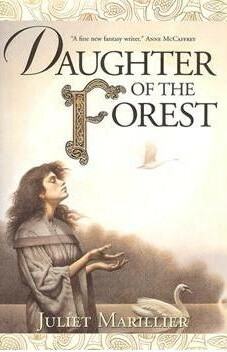 Daughter of the Forest is the first book of the Sevenwaters trilogy which includes Son of the Shadows and Child of Prophecy. Son of the Shadows awaits me on my nightstand even now, and I will be hunting down Child of Prophecy soon, you may rely upon it. Happy reading to you all! P.S. Have you read something wonderful lately? Please share the title and author as a comment here on the blog. Wow! This month I stopped reading as many books as I followed through and finished. I have so many books on my shelves and my “want to read” list, that I just can’t bring myself to spend time finishing a book that doesn’t grab me or speak to me in some way. One novel, I read past page 100 before I had the good sense to realize, This is not doing a thing for me. That said, the books I did finish grabbed me by the throat, or the brain, or the heart, and hung on until the very last word. Any book on this month’s list is worth reading.